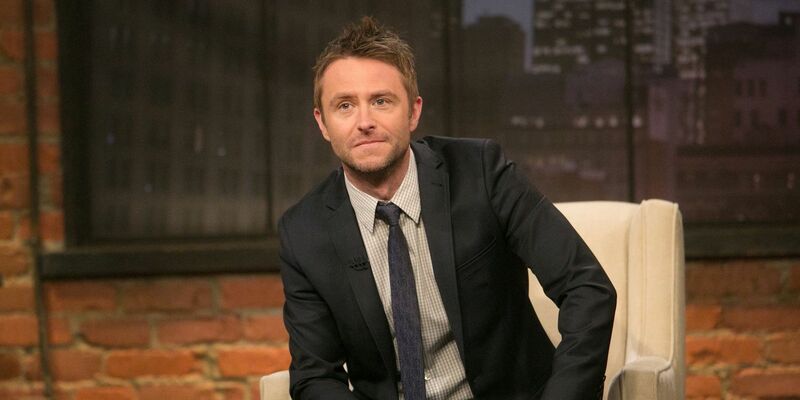 Following tonight’s premiere of Fear the Walking Dead, embattled host Chris Hardwick made an emotional return to after show Talking Dead. It’s been a long summer for Hardwick, who in June was accused of abusive behavior and sexual assault in a lengthy essay by former long-term girlfriend Chloe Dykstra. Hardwick denied the allegations, but in the current #MeToo era, Dykstra’s charges were understandably taken very seriously. First, mentions of Hardwick’s name were removed from the website he founded, Nerdist. Then, the already taped second season of Talking with Chris Hardwick was abruptly pulled by AMC, just days before it was set to begin airing. Hardwick was also suspended from hosting duties on Talking Dead, and bumped from the SDCC panels he was set to moderate. NBC also said they would “assess” the situation, and determine whether or not Hardwick would be allowed to continue hosting their game show The Wall. Just like that, Hardwick went from having multiple ongoing showbiz jobs to none at all. Things have been turning around for Hardwick since late July, when AMC concluded its investigation of Dykstra’s allegations, and determined that he was cleared to return to work. Of course, this naturally angered those who believe him to be a manipulative abuser, even leading multiple Talking Dead staff members to quit upon his reinstatement. Hardwick has also been cleared to return to hosting The Wall. It’s still unknown if the shelved episodes of Talking with Chris Hardwick will ever air. Interestingly, tonight’s episode of Talking Dead – airing directly after the season 4B premiere of Fear the Walking Dead – was taped in advance, instead of airing live as usual. Hardwick normally fields questions about the episode from fans in real time, but it doesn’t take a genius to figure out why AMC and Hardwick thought it was best to not open things up to live callers who might take the opportunity to verbally confront the host about the allegations against him.